This Korean species which was first identified in 1930, is noted for its bright purple flower buds which appear in August but do not open. It is rhizomatous in nature and spreads well, forming medium size (19 inches high by 45 inches wide) mounds. The foliage is lance shaped, one inch wide and dark green, shiny on top with a sharp pointed tip. Flower scapes carry many dark purple buds and are purple dotted near the base. 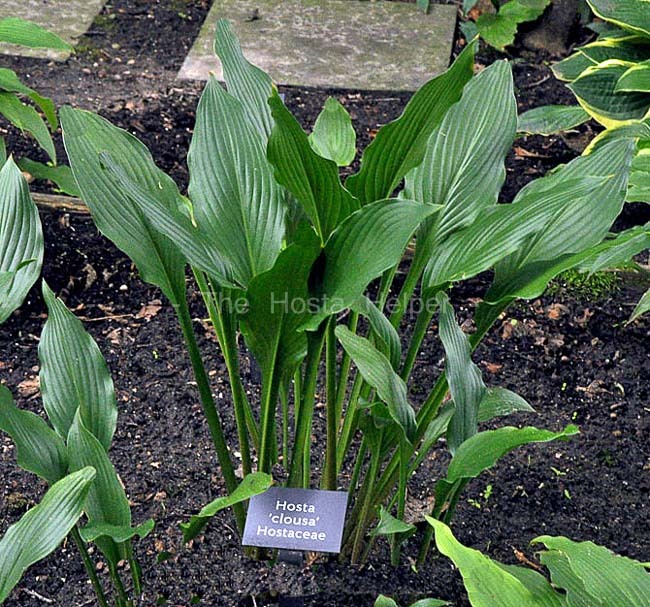 This is triploid hosta does not set seeds but the pollen is fertile. "Growing along river banks it is exposed to periodic flooding brought about by typhoons during the time of flowering and seed maturation which severely disturbs normal sexual propagation resulting in evolutionary changes to a more efficient vegetative method by way of extensively creeping rhizomes." 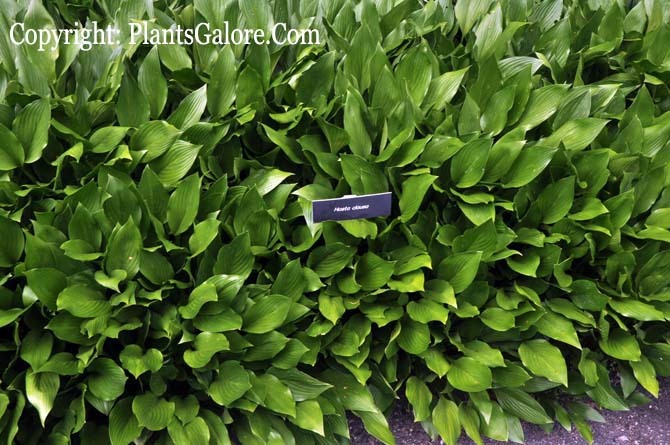 according to The Genus Hosta by W. George Schmid (1991)." The species epithet is derived from clausus = closed (bud)." 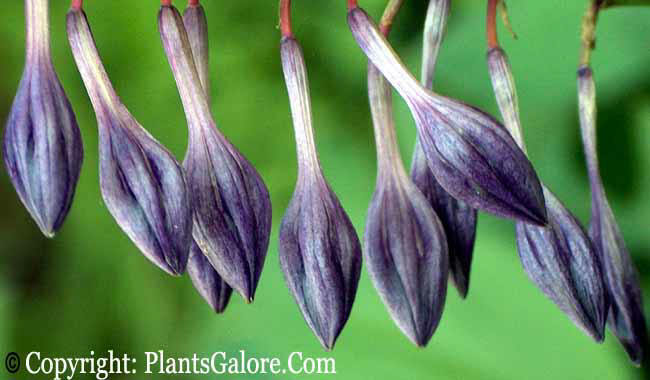 H. clausa 'Normalis', according to The Hosta Handbook by Mark Zilis (2000), is the "...same as the species, except that the flowers open normally...". From the Field Guide to Hostas by Mark Zilis (2014), "Even if the flowers are artificially opened and pollinated, they do not form pods...its rhizomatous nature makes it a premier ground cover.